Oakland, CA — Trinity Wilson, a 15 year old member of the East Oakland Youth Development Center (EOYDC) track team will represent the United States in the first World Youth Olympics. 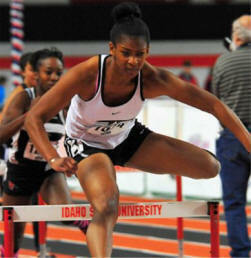 Trinity holds both the freshman and sophomore national indoor 60m Hurdles records at 8.44 and 8.29; the age 14 and 15 national records for the 100m hurdles at 13.77 and 13.46, the national sophomore record at 13.46, the youth girls (age 13-14) national record of 13.85, and intermediate girls national record 13.87. 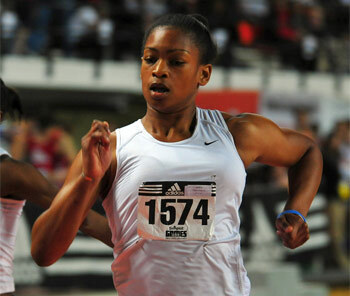 She is one of only two athletes from the state of California in track to represent Team USA. Trinity will live in the Youth Olympic Village in Singapore for over 3 weeks which includes her participation in the opening and closing ceremonies for the Olympic Games August 14-August 26, 2010. 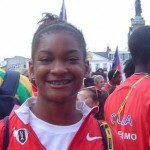 Her first race will be on August 17, 2010.
have traveled to China, Portugal, Brazil, Czechoslovakia and several other countries. “Trinity is one of the most coachable and enjoyable athletes that I have ever coached. She is motivated and very goal oriented. 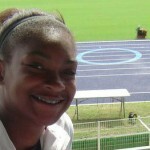 She will be very successful in whatever she chooses to do in life” says Coach Taylor. “Excellence is a cornerstone of all programming here at EOYDC,” said Regina Jackson, EOYDC Executive Director.